Brace yourselves winter is fast approaching so its time to dig out the base layer, running tights & wooly hats, I always thought it was go hard or go home !! & so to the start of this years winter league a seven race series culminating in ‘El Classico’ the Brantingham Hill Race, it’s a great way of keeping you race sharp over the winter months. 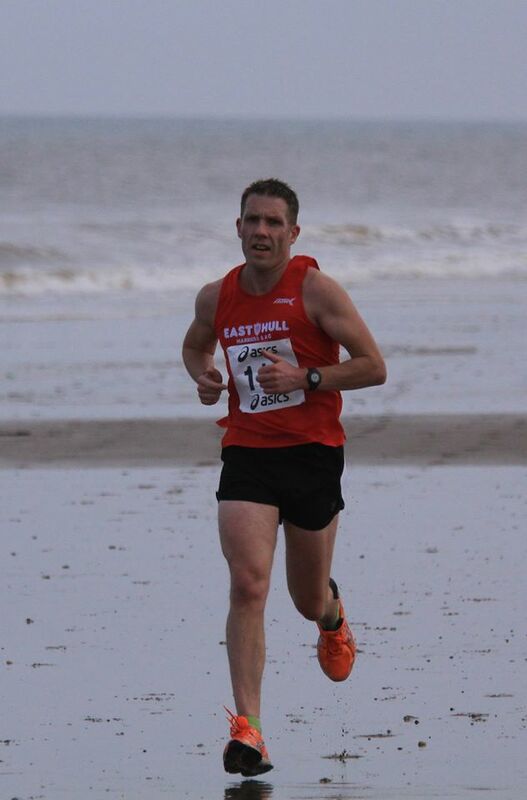 The first race took us to Hornsea for the beach run up to mappleton & back, a slightly overcast day with a slight breeze on the way back greeted us which made for almost perfect running conditions. A total of 66 runners including 14 guests made the start line, it was great to see so many of the new members running & I include myself in that having just joined EHH in April but after running last year as a guest I wanted a piece of the points action. With so many runners taking part myself & Iain will have our work out preparing the handicaps for the upcoming races but it’s a job that that needs doing & we are happy to do it. First back was Sara Rookyard in a time of 40.03 followed by Katie Seddon 46.53 & Anthea Eskrett 47.01, again lots of great times by the other women, well done the girls. Well done to everyone who took part lets hope we get the same number for race 2 which is on the 21st November.